When thinking of trees in Pretoria, the first and foremost that comes to mind is surely the jacaranda of South American origin. There can hardly be a Pretoria resident who is not utterly familiar with the beautiful mantle of its bell-shaped flowers. A close second to the jacaranda is the majestic Wonderboom in Pretoria North. But there is another tree that has a right to lend its name to a suburb, The Willows, as well as to the Willowridge High School in Verkenner Avenue, The Willows. This school opened in January 1987 and there are two stylized trees on the school’s coat of arms. Why they supposedly protect and nurture a Tudor rose may not be as obvious, but the heraldic design is not what puzzles me. What I want to know is how the willows came to Pretoria, and why it is so widely grown along the many spruits and rivulets in the Apies River Valley without being taken much note of. Botanists tell us that the willow is a native of China. Cuttings were brought to Babylon, hence its Latin name, Salix babylonica. From there, the willow was taken to London. But Europe had its own willow, the white Salix alba. A crossing of the Salix babylonica and the Salix alba is believed to have produced the Salix x sepulchralis. 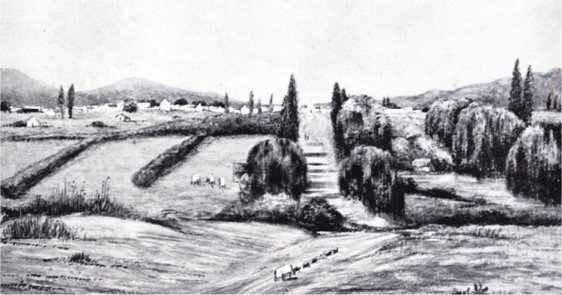 The earliest written reference to the willow in Pretoria must have appeared in reference to Harry Struben’s farm, The Willows, which he acquired in 1862. It makes sense to believe that he took the name from willows growing there, but how did the trees get there? In the 1870’s a reference to willows appeared in the form of a poem composed by the English trader, Albert Brodrick, who operated the first pub in Pretoria, the Gaiety Bar at his centre, Hole in the Wall, on Church Square. A willow tree in Pretoria with a pedigree came from Napoleon’s grave on St Helena. According to an old story, South African Anglo-Boer War prisoners who had been interned on St Helena brought back some cuttings of the Salix babilonica. In 1947 when Jan Smuts was prime minister of the union, he received a letter from a woman in Australia asking him to help carry out the last wish of a former Napoleon student. 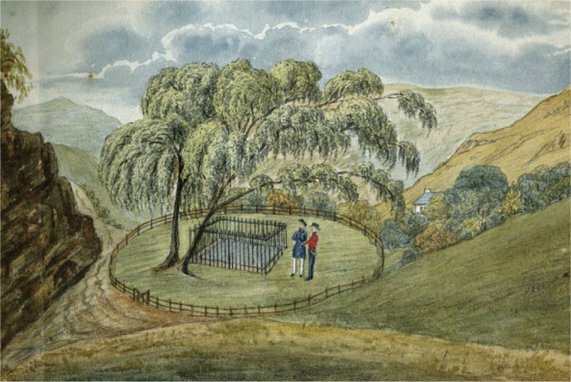 The student’s ancestors had taken a cutting of Napoleon’s willow from St Helena to Australia. Before his death he wanted to donate new willow cuttings to the island to replace the original tree that vandals and slip-collecting tourists had destroyed. The woman asked Smuts for permission to send him seven cuttings to be cultivated in South Africa before forwarding them to the governor of St Helena for transplantation at the site of Napoleon’s tomb. 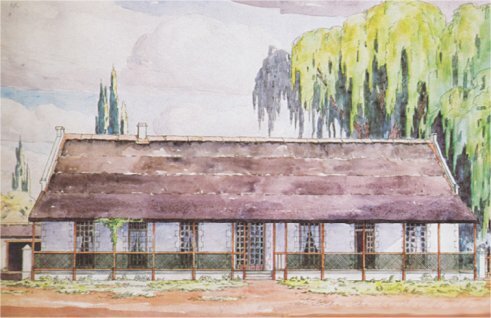 General Smuts readily agreed and when the story of the willow transplanting on St Helena was published, a Randfontein man wrote to him about another willow growing on the platform of the railway station at Cathcart in the Cape. It was dying. Again the prime minister gave instructions and shortly afterwards 24 cuttings of the Cathcart tree were railed to Pretoria and planted at the Department of Forestry’s plantation at Groenkloof. The cuttings sprouted and were sent to various parks throughout South Africa. One was planted at the zoo. In April 1962, when the ‘Pretoria News’ reported on the tree, and the ‘Johannesburg Star’ in November of the same year, it had grown to ten meters in height. Unfortunately the willow at the zoo has long since died. This, however, still leaves me with the burning question: Who planted the first willow trees in Pretoria and from where did they come?